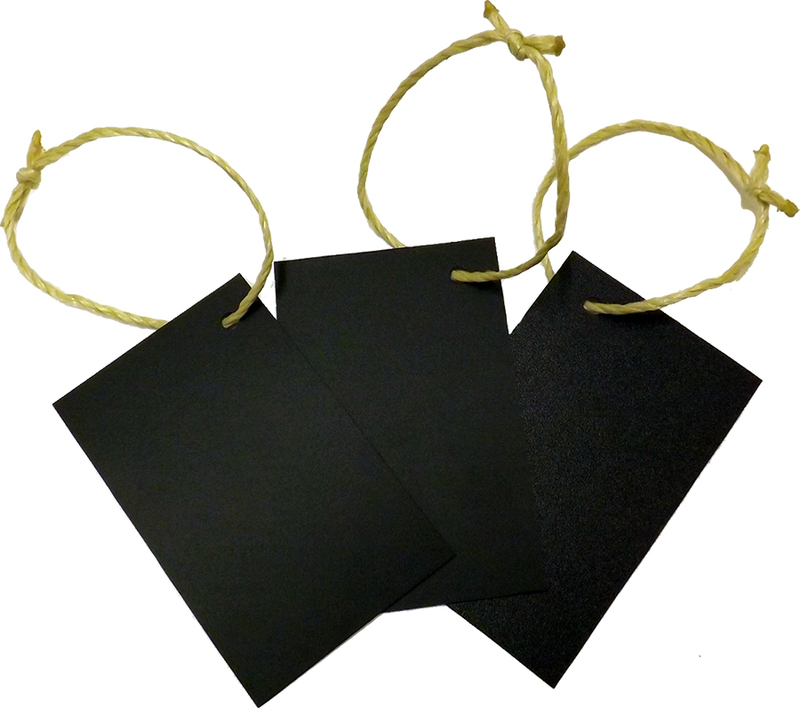 Pack of six chalk label tags with tie string to place around bottles or other items in a retail environment. Display special offers, promotion and prices, etc. Perfect for bars and boutiques. Use stick chalk or chalk pens to chalk a message or price info. The size of each tag is 105mm x 65mm. Made from 1mm flexible plastic chalkboard sheet.